One of the greatest American novels of all time - reissued in a stunning hardback to celebrate the Salinger centenaryIt's Christmas time and Holden Caulfield has just been expelled from yet another school. Fleeing the crooks at Pencey Prep, he pinballs around New York City seekin... read full description below. J.D. Salinger was born in 1919 and died in January 2010. He grew up in New York City, and wrote short stories from an early age, but his breakthrough came in 1948 with the publication in the New Yorker of 'A Perfect Day for Bananafish'. 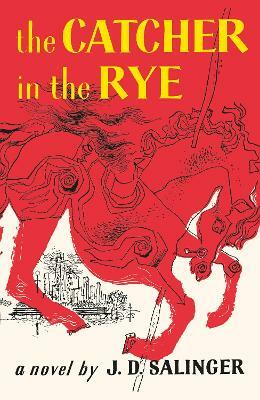 The Catcher in the Rye was his first and only novel, published in 1951. It remains one of the most translated, taught and reprinted texts, and has sold some 65 million copies. Salinger also wrote several novellas and short stories, including Franny and Zooey, For Esme - With Love and Squalor, and Raise High the Roof Beam, Carpenters and Seymour- An Introduction.